Sr. Reinolda May was born on October 21, 1901, at Pfahlheim, a small village in the Diocese of Rottenburg in the south-western part of Germany. On March 1, 1922, she entered the convent of the Missionary Benedictines Sisters at Tutzing. Her religious profession took place on February 10, 1925. A few months later, she received the mission cross and left for South Africa on June 21, 1925. There she pronounced her final vows on February 12, 1928. She had not had any secondary education, was already in her mid-thirties, had only worked in the sewing room and her knowledge of English was rather scant. But she worked hard and achieved very good results. She was a very self-disciplined and level-headed person, who did not panic in moments of crisis, but always remained calm and composed. People who knew her well frequently remarked that she had “both feet firmly on the ground.” Sr. Reinolda was at the same time a very humble person who never put the spotlight on her own achievements. Sr. Reinolda experienced the first unusual appearance on December 8, 1954, at the end of the exposition of the Blessed Sacrament. The fifth encounter occurred on June 5, 1956. On the Feast of the Sacred Heart of Jesus, during the benediction of the Blessed Sacrament, Sister Reinolda had another vision. Mary came out of the Monstrance and approached as “a living Monstrance.” No message was given, but her method of appearance was profound, simple, and memorable. In December of that same year of 1957, while visiting Ngome, Sister Reinolda May received a strong urge or “internal confirmation” that she had found the special location where seven springs meet. Now she was certain where Blessed Mary desired her Shrine to be erected. With a movement of Her hand in the very same direction again, Blessed Mary indicated where that location would be. On the Benedictine’s farm, the classroom of the school was used as the Chapel. 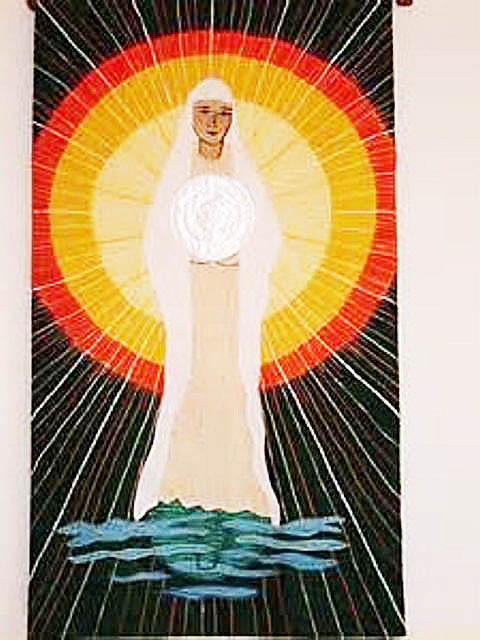 A picture of “Mary, Tabernacle of the Most High” was painted, and it hung in the classroom until a chapel had been erected. On Pentecost Sunday, 1966, a ceremony was held to open and bless the Chapel. 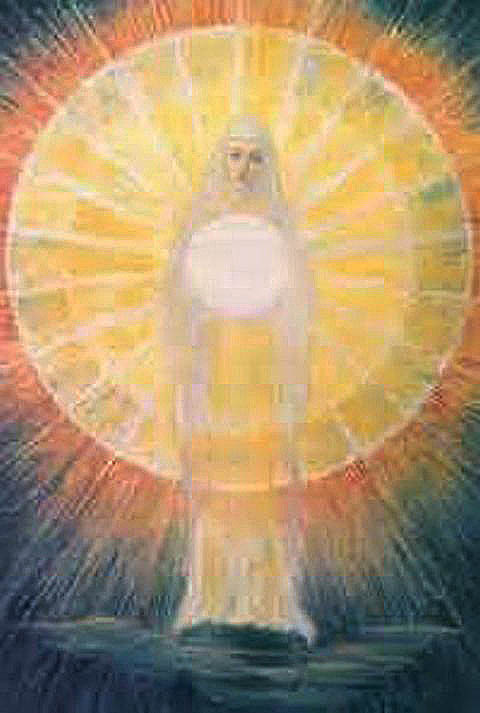 After the eighth encounter, twelve years passed before Our Lady brought another message. There, standing on the other side of the room, was St. Michael in armor with a lance in his hands. 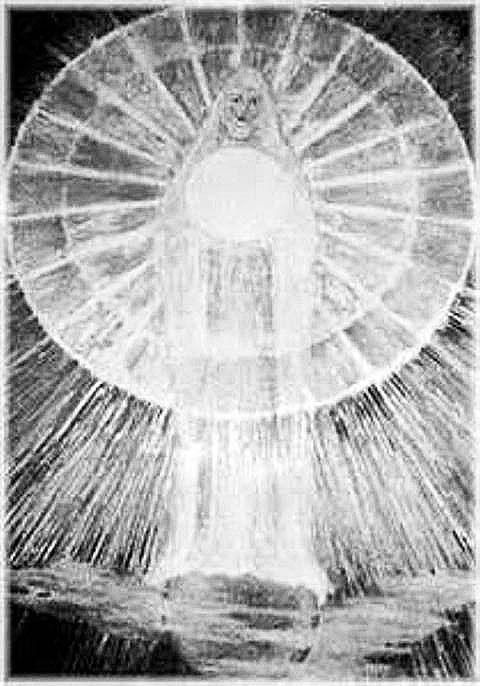 On his right stood a cherubim robed in white with his arms folded. After about two minutes, they disappeared and so did the brilliant light. This was a great consolation for Sister Reinolda May. The tenth and final visit occurred on May 2, 1971, while visiting Ngome. Before departing, Sister Reinolda made a last visit to the Chapel with a small group of women. A catechumen had complained that she was in trouble because she wanted to believe. One of her neighbors had called her names; they were quarreling. Sister prayed aloud with the women and asked Blessed Mary to help this woman and convert the man who had been a troublemaker. A chapel was built, and as it happened the site was also a place held sacred by the local Zulu population. It was consecrated at Pentecost 1966. The picture of “Our Lady the Tabernacle of the Most High” was placed in the chapel. Pilgrimage to the site began in March 1966, but soon afterward they were stopped by Bishop Bilgeri. From the first vision on, Sr. Reinolda shared her experiences with the local priests, who showed reluctance and referred her to the bishop, to whom she wrote a number of times in the next decade. He did not want the visions to be publicized, and while he consented to the painting and the small chapel, he refused to have a bigger church built; he maintained this attitude until his death, in 1973. Popular veneration at the shrine continued unabated; people traveled from far and wide to pray at the chapel and collect water from the springs. A 1976 commission headed by two Benedictine priests decided that the use of Ngome as a site of pilgrimage would bring great benefits, and that pilgrimage and veneration (though not the use of the spring water) should be allowed. Then-Bishop Bisaye, however, would not allow organized pilgrimages. When Sr. Reinolda died in 1981, interest again increased. In 1984 a new church was built at the site; it was dedicated to the Virgin Mary without any specific or additional titles. In 1988, the Ngome Shrine committee was formed from priests of the diocese. By that time, Bishop Bisaye was wavering, saying he could and would not suppress the veneration. In 1989, the committee published a booklet, and postcards featuring the shrine were being printed. Finally, in 1992, Bishop Bisaye blessed an open-air altar, part of a bigger chapel that replaced the little shrine, and allowed for the Marian Shrine to be designated a place of prayer, so that organized pilgrimage was now actively promoted. There are reports of miraculous and spontaneous healing at the shrine, and comparisons with Lourdes are drawn. The water from the spring is still collected, and visitors dip their feet in the water during prayer. The shrine is one of the most popular Christian pilgrimage sites in Africa. 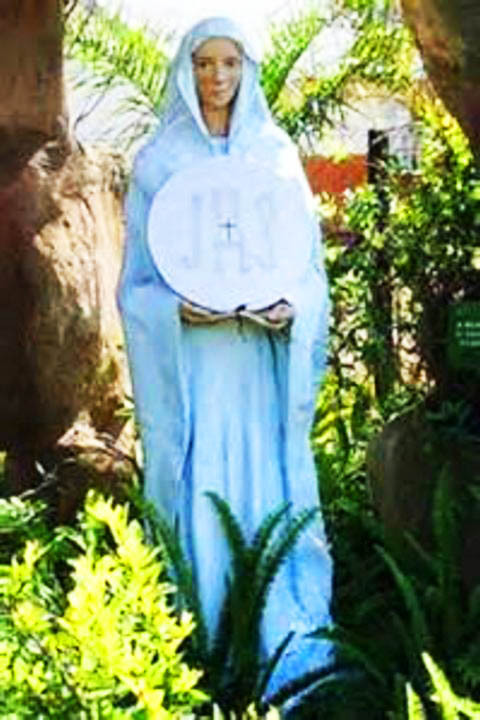 Sister Reinolda May’s apparitions were the first in a series of Marian visions in Africa.